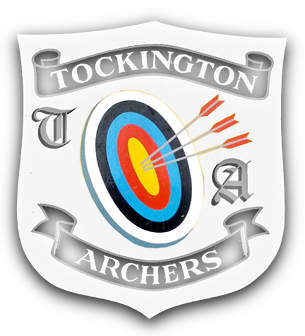 Tockington Archers was founded in 1978 as an offshoot of the Chantry Bowmen based in Thornbury. The club was founded by Ray and Rosemary Moody, Glen Ivin, Alan Jones and Alan Robinson. 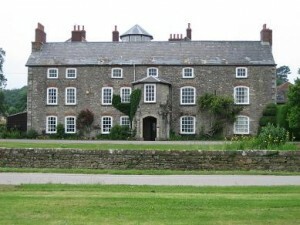 Later, the Club was kindly given permission to use the grounds of Tockington Manor School by the Headmaster, Mr R Tovey. The club is known to many as Tockington Toads which came about following the remark by a visiting archer that the main school building (see picture) looked like “Toad Hall” from “The Wind in the Willows” and ever since we have been known as “Tockington Toads”. This may help to explain the number of toad badges and sweatshirts you will find around the Club!! Because of the friendly informal arrangement we have with the school, we have remained a small club so as not to impose on the school. In return for the use of the field, our “rent” is teaching archery to the school pupils during the early summer months, with which all club members are requested to help. Despite our small size, the Club has achieved notable shooting success, with a number of past and present members becoming both County and Regional Champions. We have also supplied a number of members for the County Team and club members regularly achieve success in local tournaments. In addition, the Club annually hosts an Open Tournament (usually the last Sunday in June) which is attended by archers from other clubs in the area. Obviously, with having such a small number of members, running such an event requires a lot of hard work but we pride ourselves on managing a very popular and happy event. We also hold our own (internal) club championship in the Autumn, as well as social events.